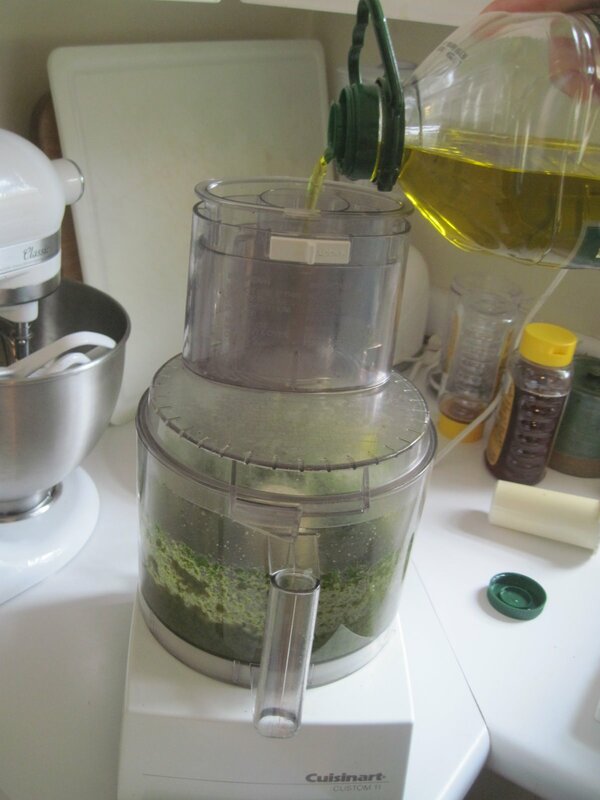 Easy Basil Pesto. My basil pots are overflowing! 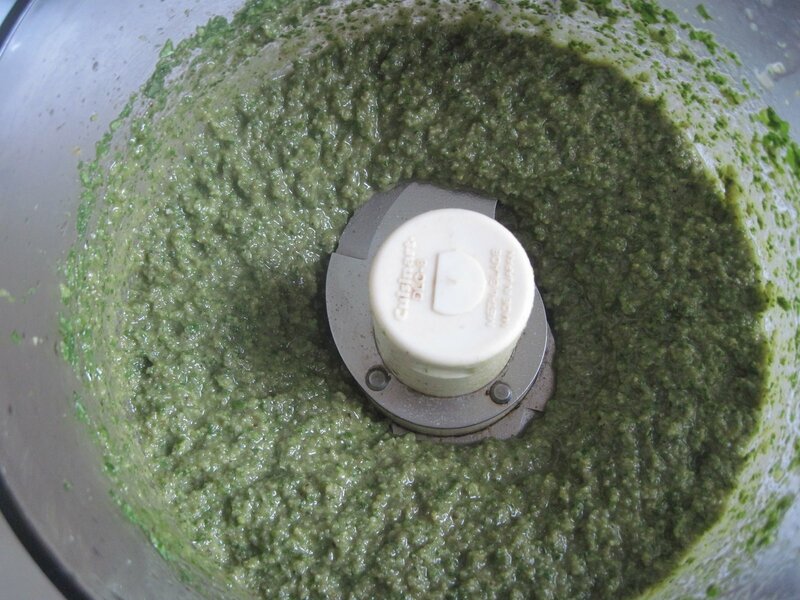 Time for garlicky delicious basil pesto. 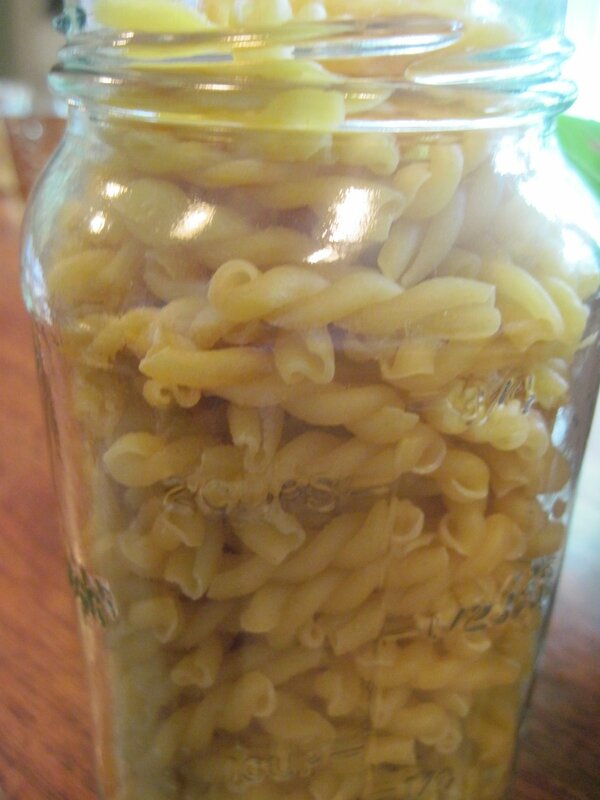 So easy you can make it and freeze it or use it on pasta, salmon and chicken. I just used it on baguette with a slice of tomato~ SCRUMPTIOUS!! 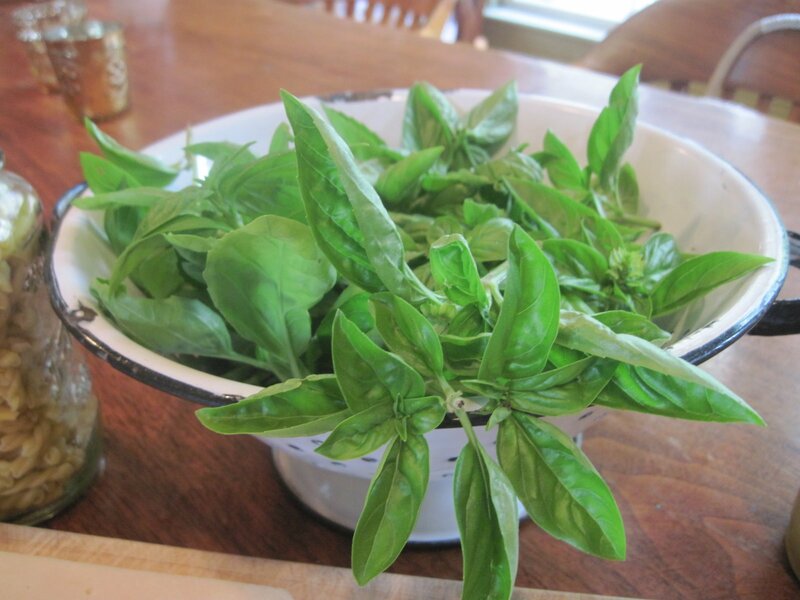 The Basil Faeries are calling my name to make Pesto. I love when I brush by the Basil Plant and the delicious perfume of the oil stays on my hands- who needs Chanel??? 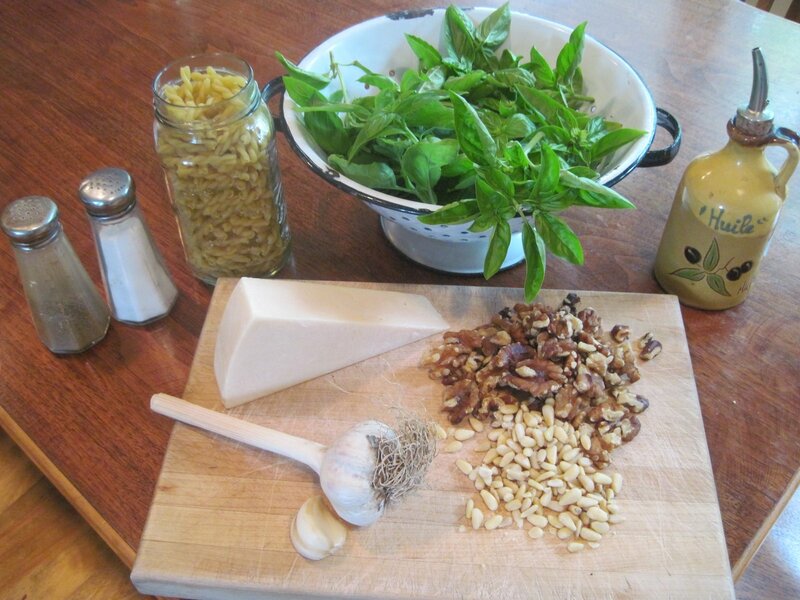 I like to use fresh Parmesan cheese- but if you don’t have it- no one will know… Walnuts and Pine nuts or no nuts for you that are allergic. 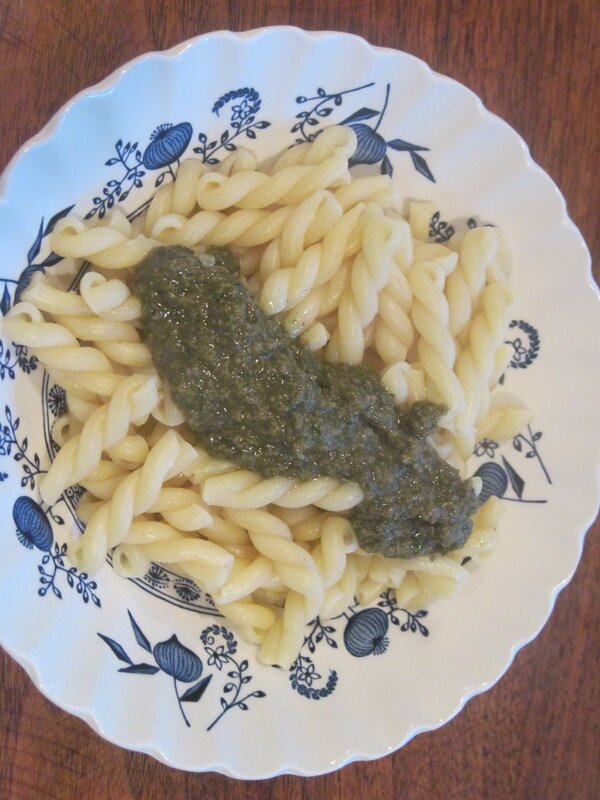 This is known as Basil Pistou. Fresh garlic from Garden Camp. 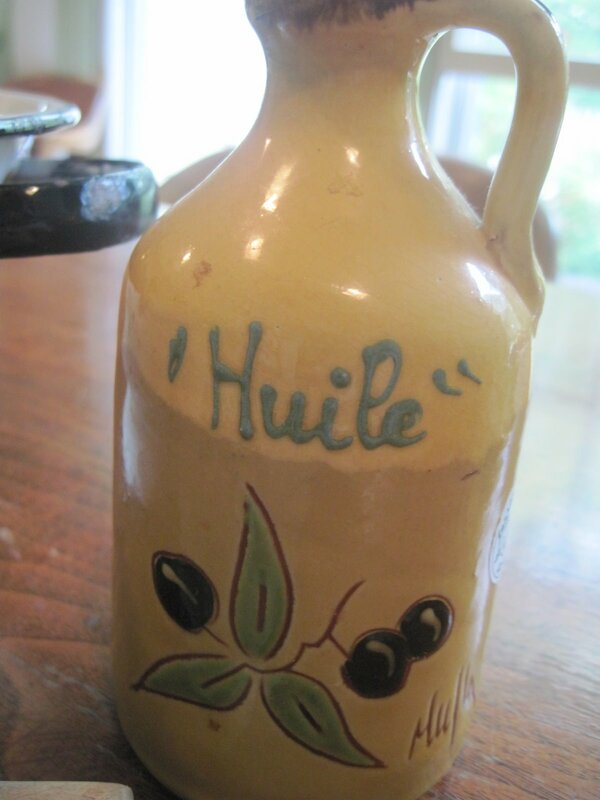 Huile- Oil in Francais~ I love this sweet bottle from Provence. I love Provence! 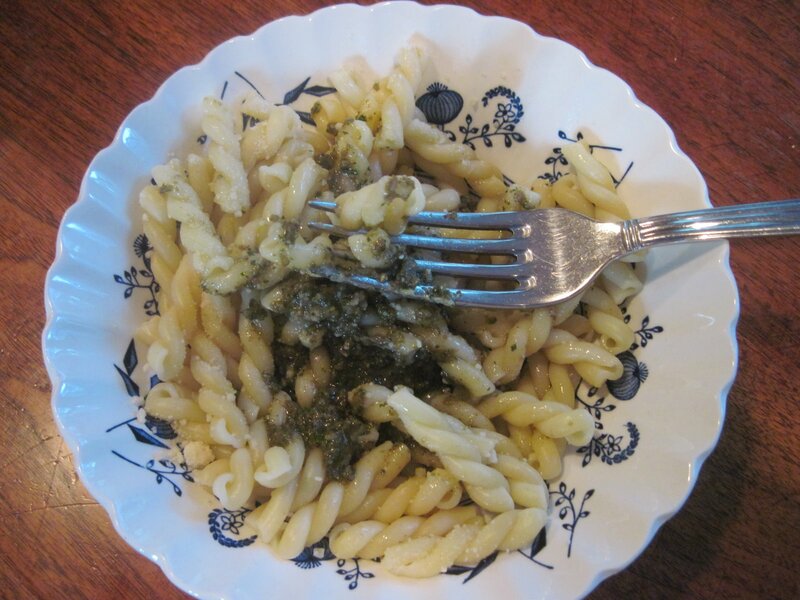 I like the small swirly pasta- the pesto gets in the nooks and crannies- YUM. 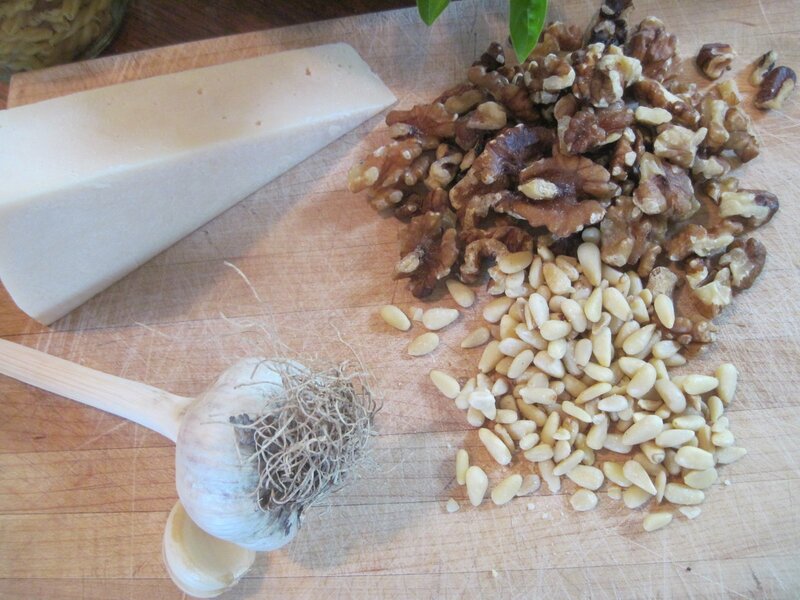 Combine the pine nuts and walnuts and garlic and process for 30 seconds. 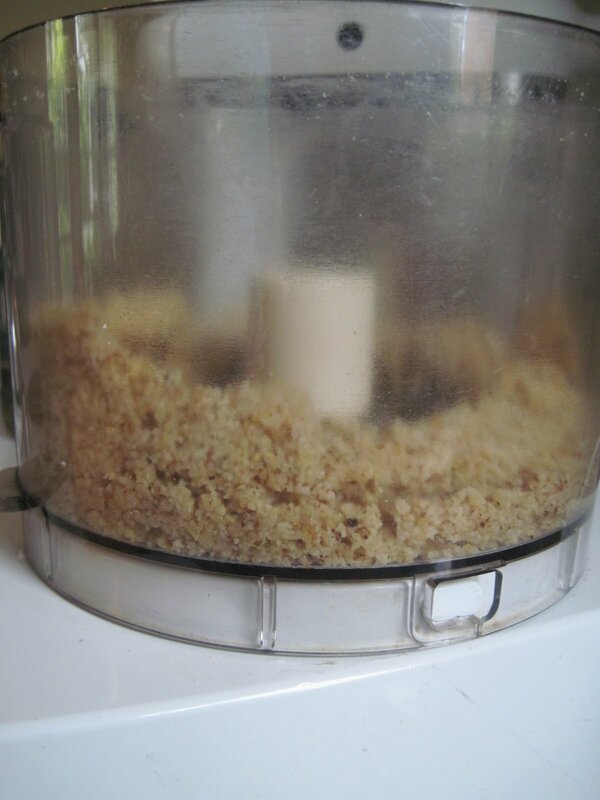 Pulse, pulse, pulse that Cuisinart! 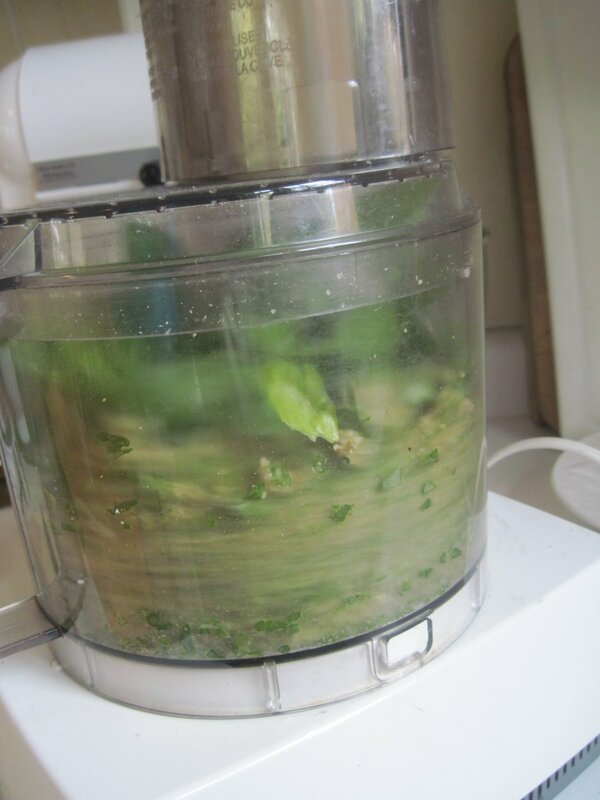 Let me look at it- it is starting to look like pesto! Isn’t it so beautiful??? Green gold, smells like Heaven to me. 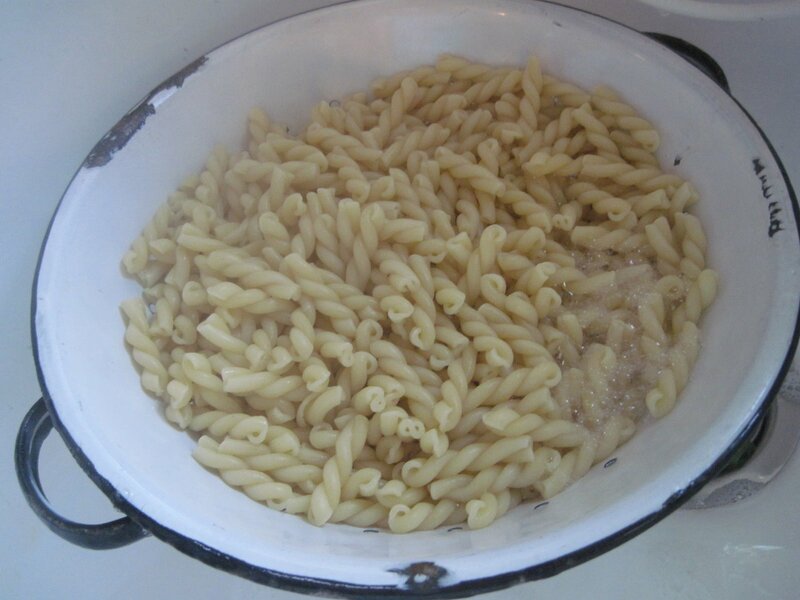 Cook your pasta Al Dente- firm but cooked. I like a heaping teaspoon- My husband likes a heaping Tablespoon, I am a food hoarder- He’s not. Mix it up and eat!! 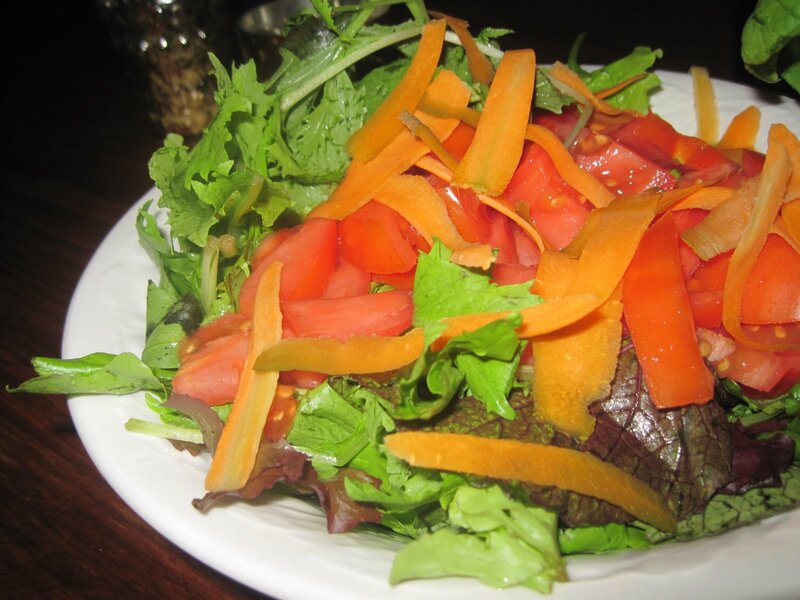 Add a healthy salad- It’s still summer! 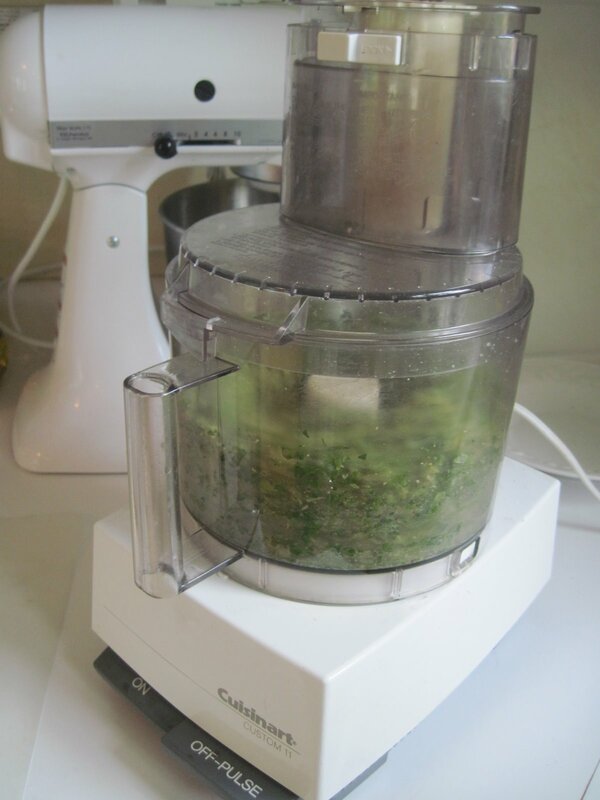 Combine Pine nuts and Walnuts and garlic, process in a food processor for 30 seconds. 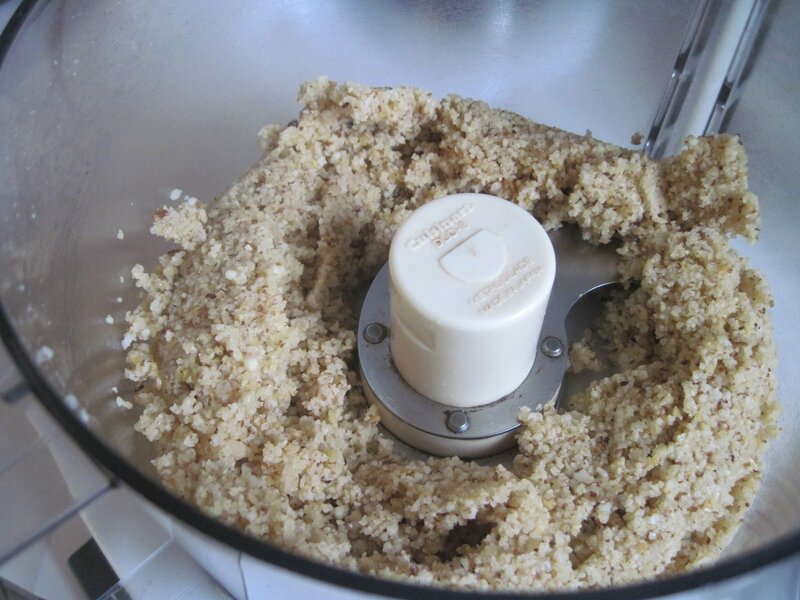 Slowly add olive oil and process until thoroughly pureed. Add cheese, puree for 1 minute. Your blog really looks great! 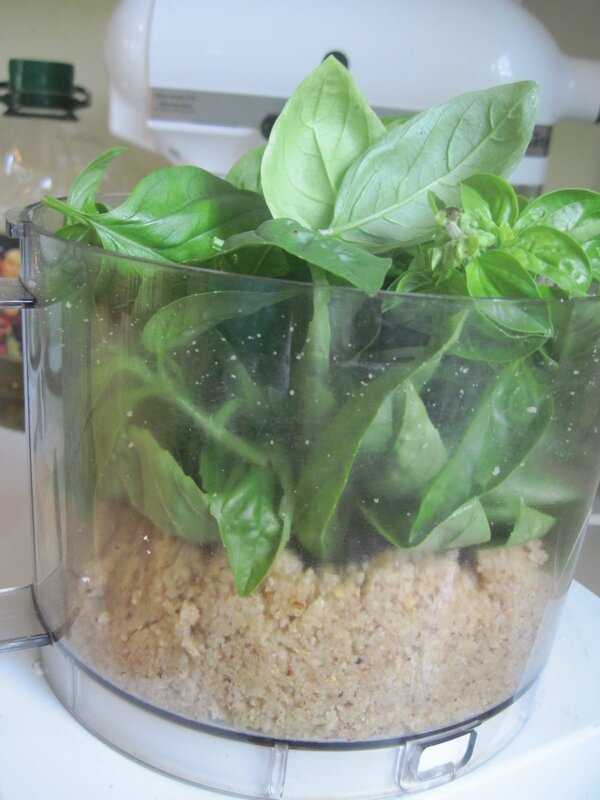 Great use for Basil! I am "Stumbling" from the Something Swanky hop!